Two heads are better than one, but what about a whole auditorium full? Designers, small business owners, and innovators of the like gathered at the Charleston museum this past Thursday as Lowcountry Local First hosted the Good Business Summit. Speakers were invited to the stage to share their personal successes as well as struggles in effort to inspire businesses, new and old, to perform to the best of their ability. 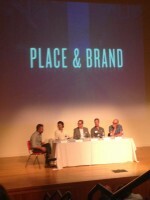 Some speakers include Katherine McDonald of LulaKate, Josh Silverman of Jericho Advisors, and Adam Fetsch of Rewined. The desire to help each other was obvious as each speaker willingly offered counsel, innovate ideas and business models to the attendees. Jessica Derrick of Garden and Gun posed the question all business owners must ask themselves: “Who is your audience?” Stephen Warner of Charleston Regional Development Alliance posed the question “how are you different?” and followed up with the ever important advice “you must get past the fear of growth”. With an interactive platform, speakers and attendees sparked the dialogue that otherwise would have been hard to ignite. 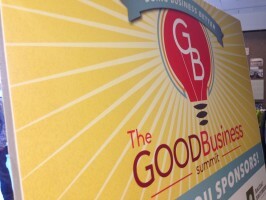 The Good Business Summit bridges the gap between ideas and execution, promoting a sense of community and providing innovative tools for any business. Lowcountry Local First hosted an overall successful event that filled the heads of innovators with intricate business models, branding advice and a renewed sense of togetherness.